For all the coffee lovers who comes to Chikmagalur, make it a point to visit the Coffee museum. The museum lets you take an insight of the coffee making process, right from plucking the beans to its processing and packaging. Nestled within the greenery of Chikmagalur, the surrounding of the museum is decorated with small coffee plant pots. So, as you walk in the museum you will come across small coffee plants along the way. The friendly staff in the museum are always there to explain the entire process. Beside these, the museum also has many documents and maps which educate you about other coffee growing regions in India. Timings may differ. Check the official website before visiting the museum. Rs 20 is applicable for both adults and children. How popular is Coffee Museum? People normally club together Mullayanagiri and Madagadakere Lake while planning their visit to Coffee Museum. Informative. 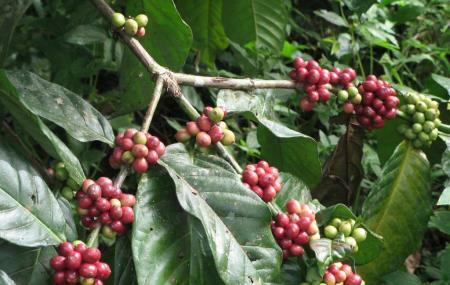 We were able to see the harvest and varieties of coffee . the museum is a small and well-maintained place. There was a video played in the beginning. It was informative but a bit dramatic. A documentary would have been better. The museum is pretty nice, however the staff members are extremely lazy. The timings are from 10-6, we reached at 4:30 but the museum hall was all dark with no attendants. Luckily, we found out the switchboard by ourselves and went in.